Ty Boyles had to wait until June began to start his season. 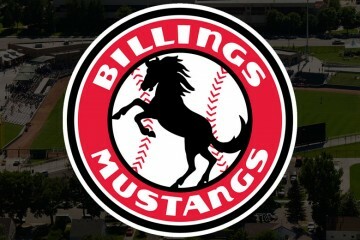 He would join the Billings Mustangs and make his first start on the 18th against Great Falls where he allowed one earned in 4.1 innings with two walks and three strikeouts. Six days later the left handed allowed a run in 5.1 innings with three walks and three strikeouts. 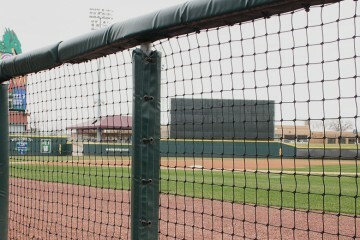 Boyles would wrap up June against Missoula on the 29th. He allowed four runs in 5.0 innings with four walks and five strikeouts. In three starts he would post a 3.68 ERA in 14.2 innings with nine walks and 11 strikeouts. July got out to a strong start for the 19-year-old on the 4th when he allowed just two hits in 6.1 innings without a walk, no runs and six strikeouts. Boyles followed that up with another strong start, tossing seven shutout innings in Orem as he struck out five Owlz hitters. A week later he would take on Orem again, this time in Billings and allowed just two runs over 7.0 innings with three strikeouts. The Quartz Hill graduate allowed a run in 5.1 innings on his next trip to the mound, walking two batters and striking out four. In the final start of July, Boyles made his longest start of the season as he allowed one earned run over 7.2 innings with seven strikeouts. For the month he would post a 1.08 ERA in 33.1 innings for the Mustangs with just five walks and he struck out 25 batters. Boyles wouln’t make his first start in August until the 9th, 11 days after his last start as he was skipped over in the rotation. His return was strong, being charged with two unearned runs in 5.0 innings with just two hits allowed and two walks to go along with nine strikeouts. The lefty was skipped again the next time through the rotation, returning on the 19th and ran into some problems as he allowed four earned (and three unearned) in 5.0 innings with a walk and three strikeouts against Idaho Falls. 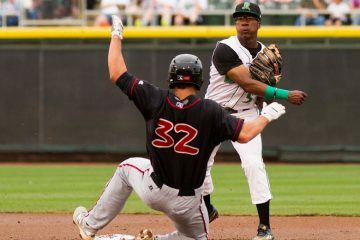 His next start would come for the Dayton Dragons as he was promoted to the Low-A affiliate for the end of the season. 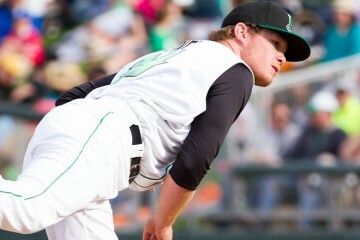 On the road against Lake County he allowed three earned runs in 6.0 innings with a walk and three strikeouts. He struggled over the next two starts, allowing five runs in 5.0 innings and then seven runs in 0.2 innings. On the final day of the season he rebounded well, allowing just one hit over 4.0 shutout innings with four strikeouts. Over his final six starts he posted an ERA of 6.66 in 25.2 innings with nine walks and 21 strikeouts. Fastball | The fastball works in the 88-90 MPH range and will touch slightly higher every so often. Curveball | His main go-to offspeed pitch battled consistency, but it’s an average offering when it’s at it’s best, but can get a bit sweepy and flat at times too. Change Up | A clear third choice for Boyles, he doesn’t throw it nearly as often as he goes to his curveball. It’s a below-average offering right now. Boyles seems to battle consistency from start to start, struggling at times to locate his fastball, which puts him behind in the count too often. When he’s able to work off of his fastball and gets ahead of hitters, his breaking ball plays well at the level he’s at now, though it will need to find more consistency as he continues to move forward. Listed at 6′ 0″ and 262 lbs., Boyles will need to watch his conditioning over the years if he’s going to remain a starter. A move to the bullpen, either for conditioning reasons or because he just doesn’t develop could let his fastball pick up and let the fastball/curveball combination work well in shorter stints. After reading what he had done in Billings as excited when he was promoted to Dayton and expected to see a confident pitcher but saw a tentstive almosr nervous pitcher. He is a big boy that needs to tirn somd girth into muscle as he moves up.